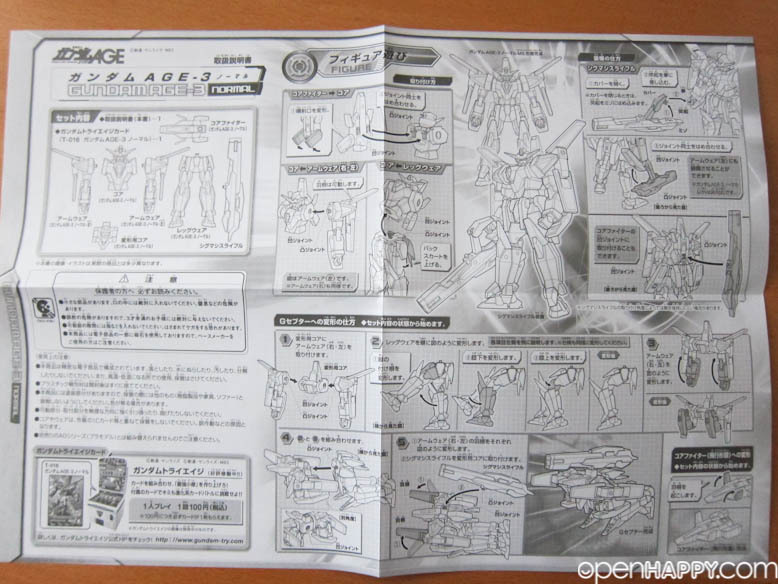 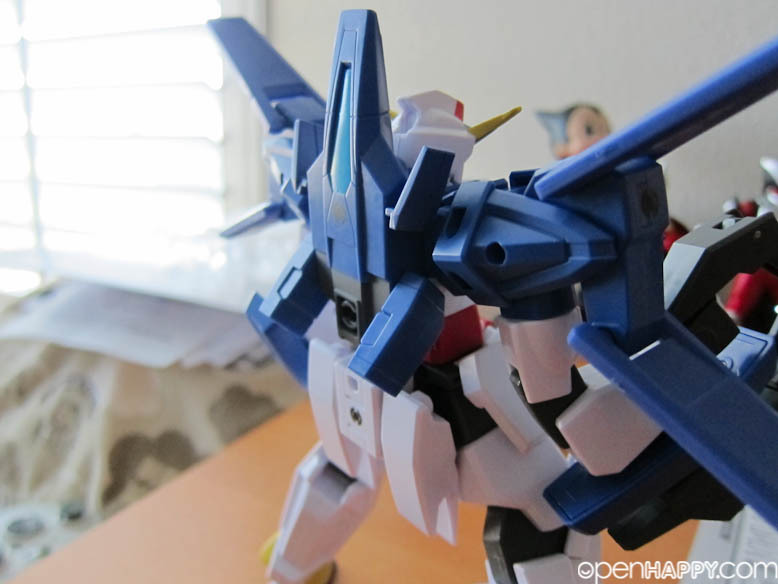 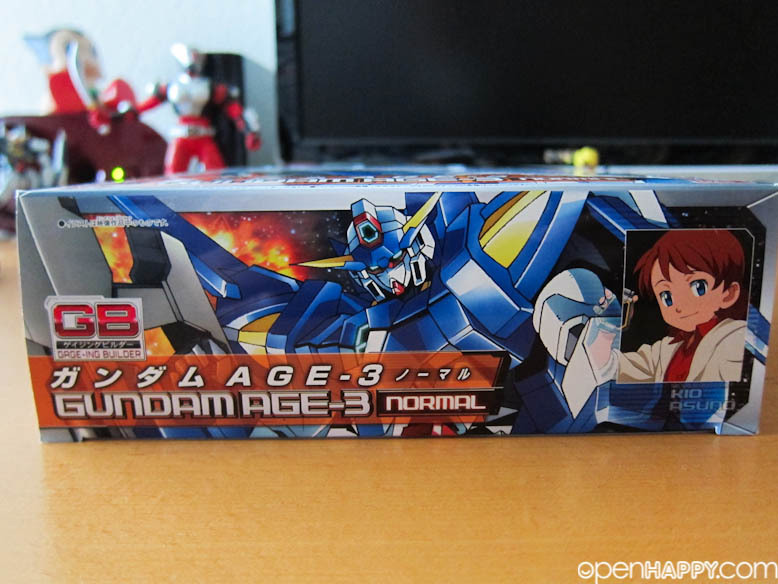 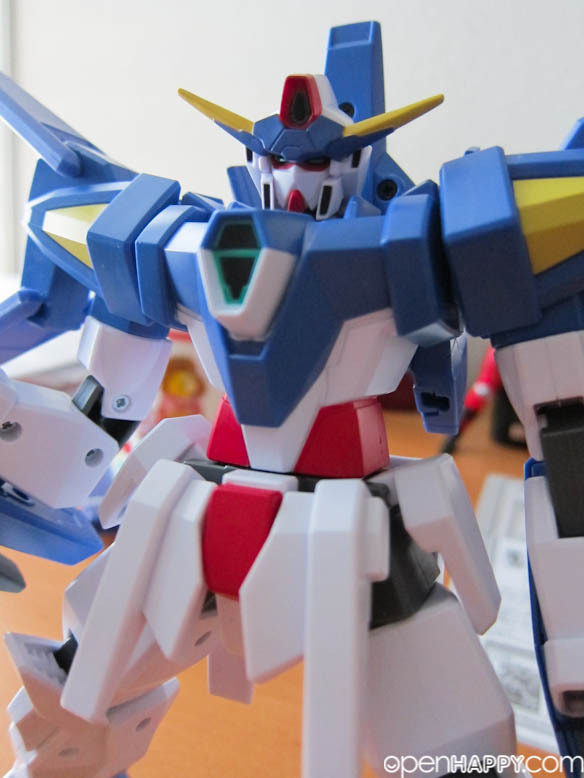 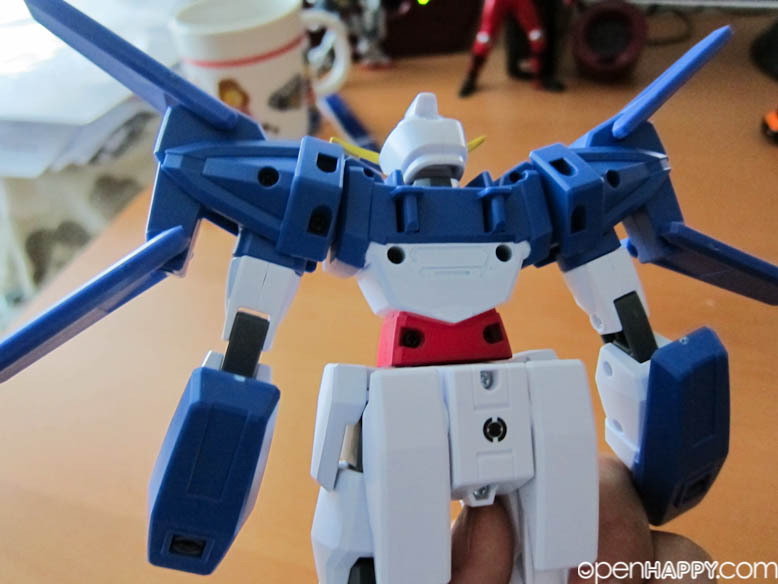 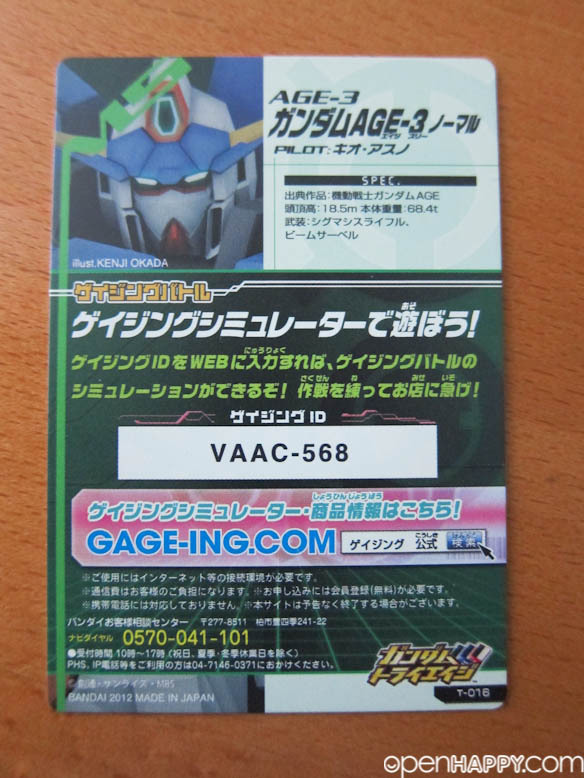 The AGE-3 Gundam AGE-3 Normal is one of the four titular mobile suits and the successor of the AGE-2 Gundam AGE-2 Normal, appearing in the Kio Arc of Mobile Suit Gundam AGE. 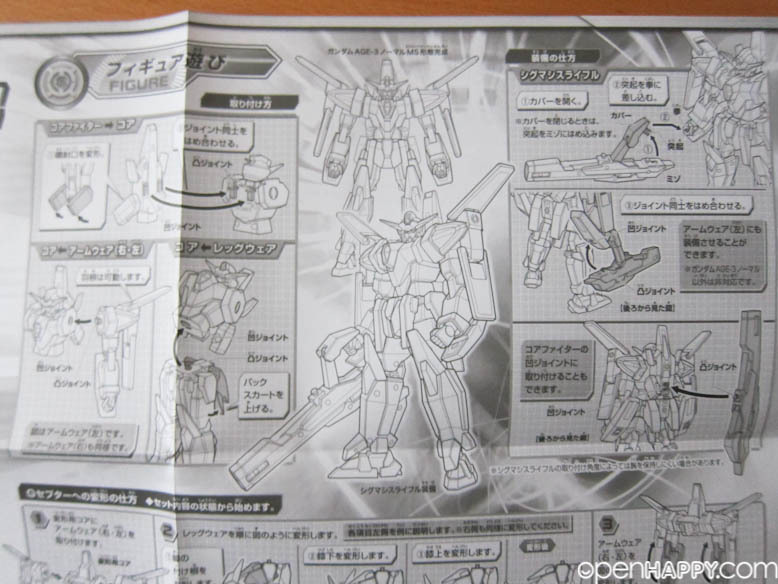 The unit is piloted by Kio Asuno and co-piloted by Flit Asuno. 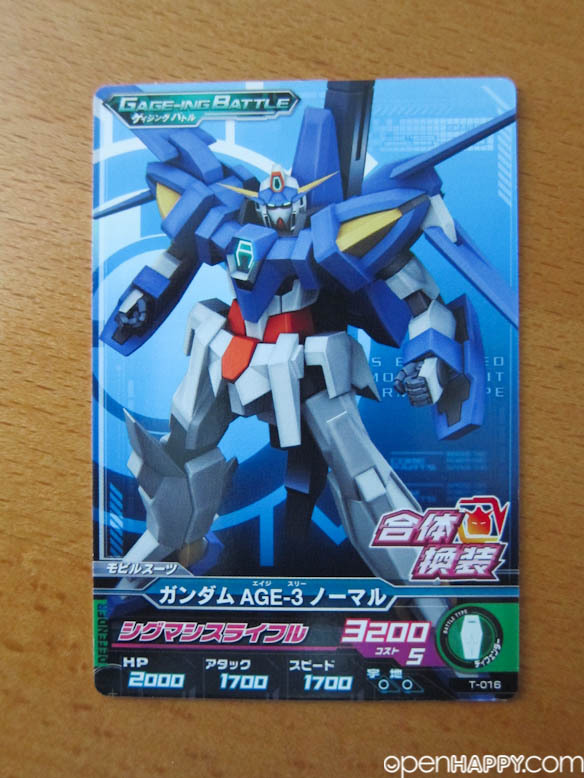 A third generation mobile suit and successor to Gundam AGE-2, it was developed in secret by Flit, who used the AGE Device left by Asemu before he went missing 13 years ago, in preparation for the final battle against the Vagan. 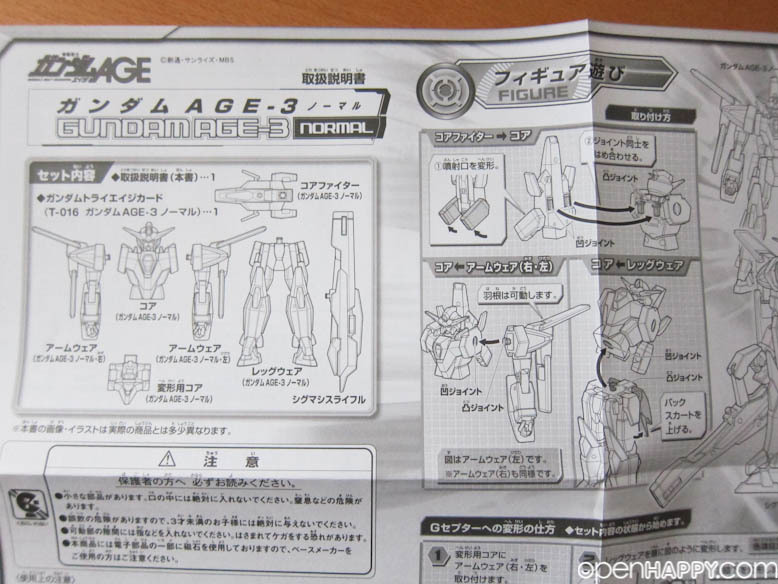 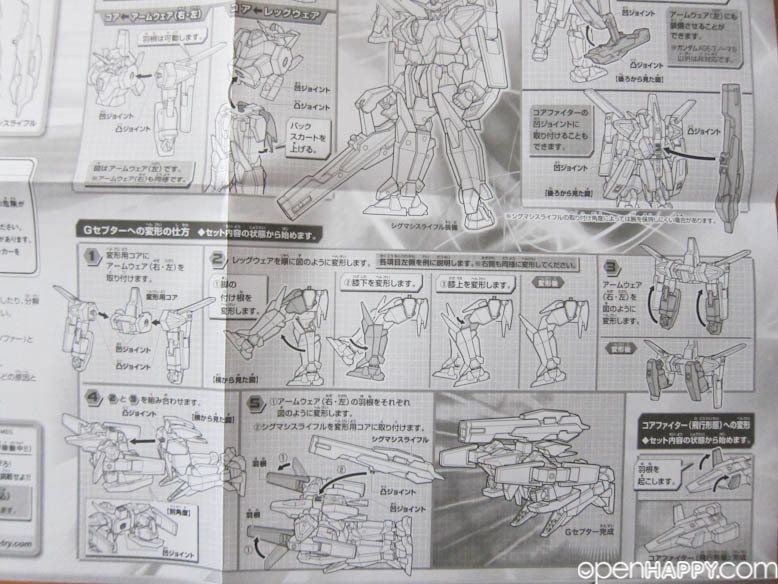 Vagan technologies that were obtained over a long-term period during the war have been applied to the AGE-3 including innovations not found in Federation MS.
Haha, I ordered this one back in the days when the AGE-3 first appeared in the show. 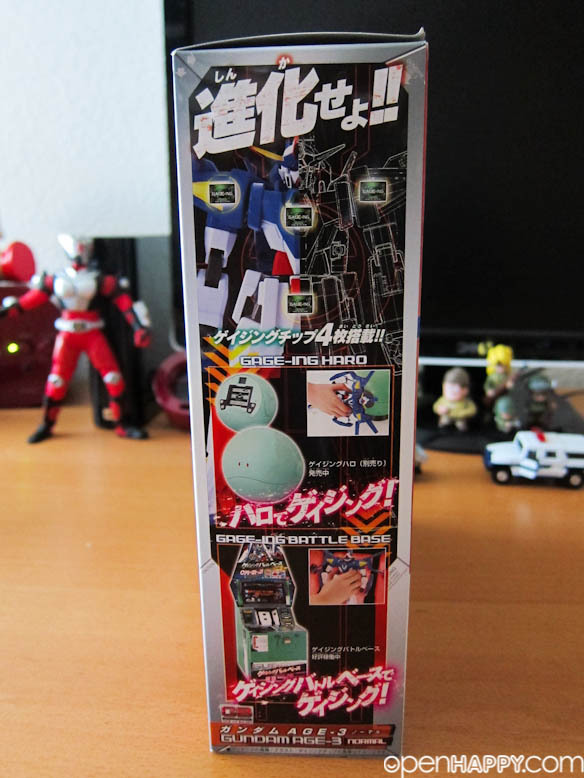 It is the biggest one and it is a hit for the kits. 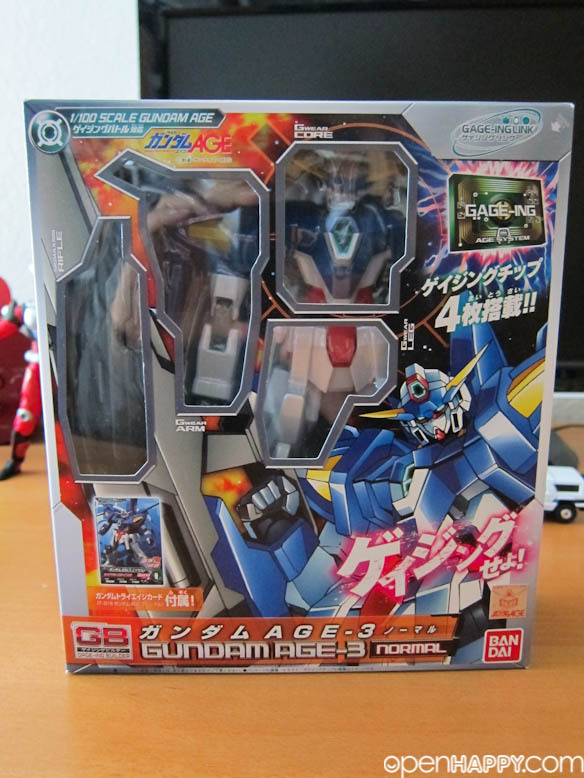 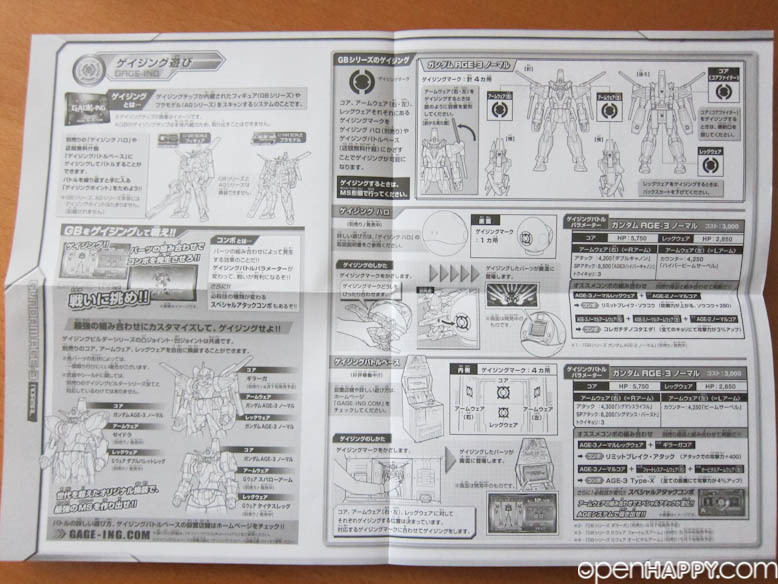 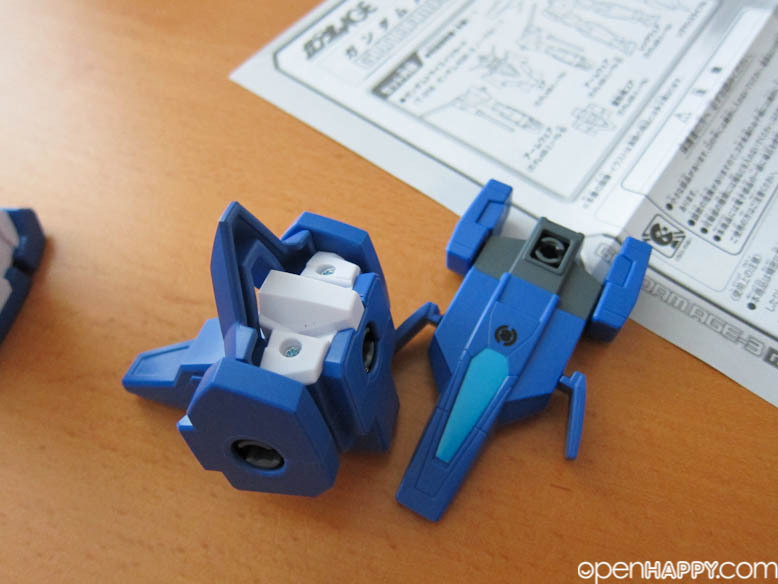 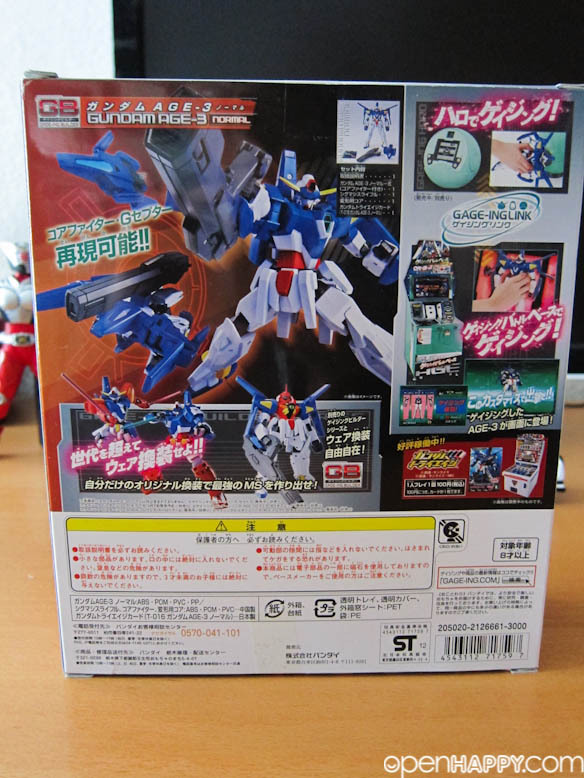 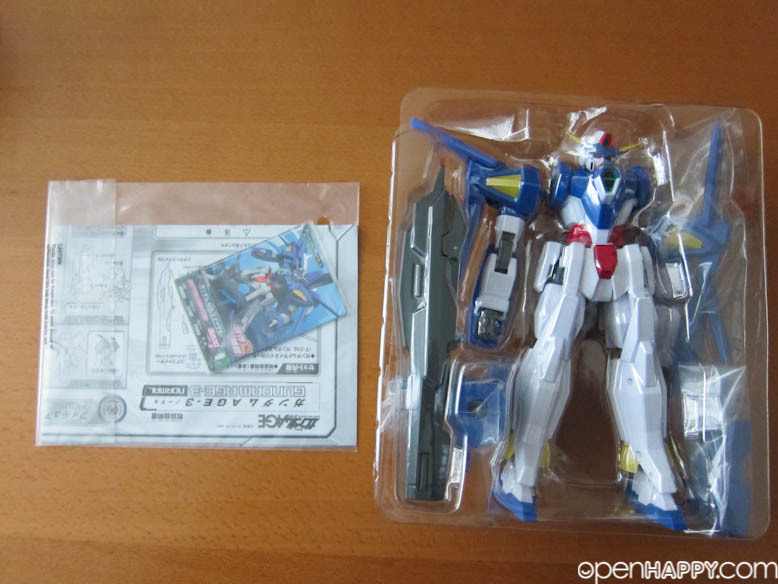 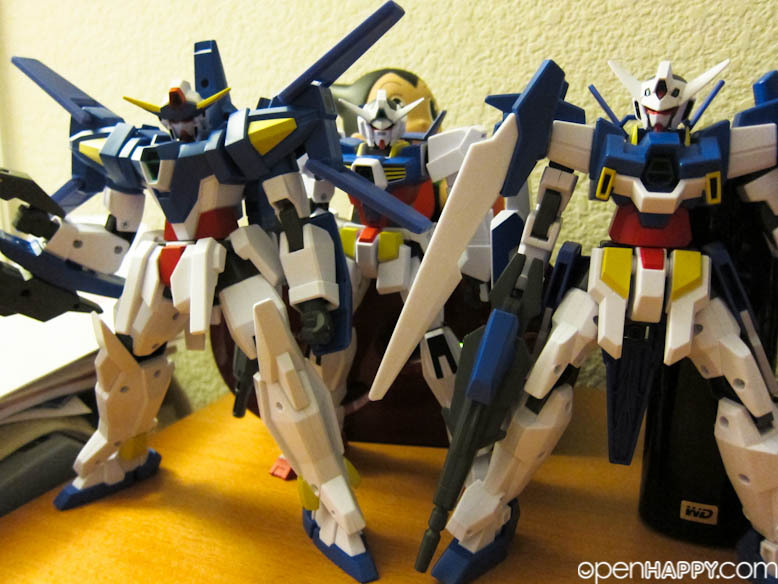 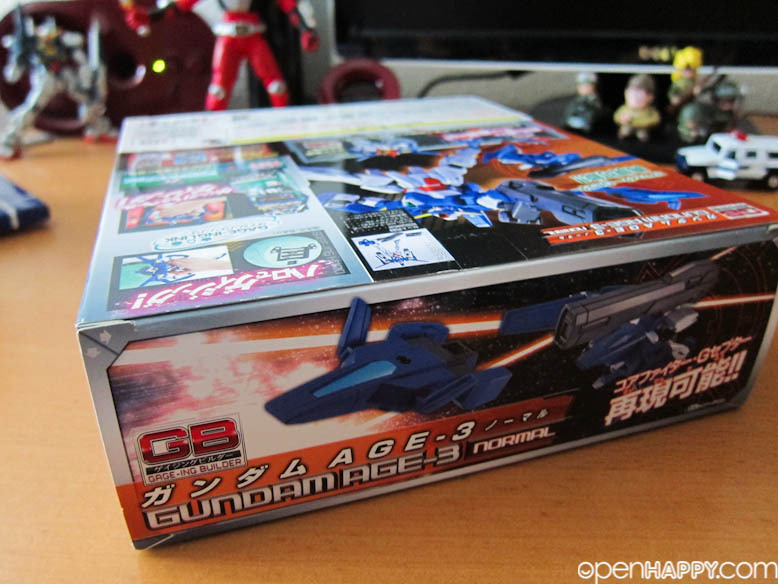 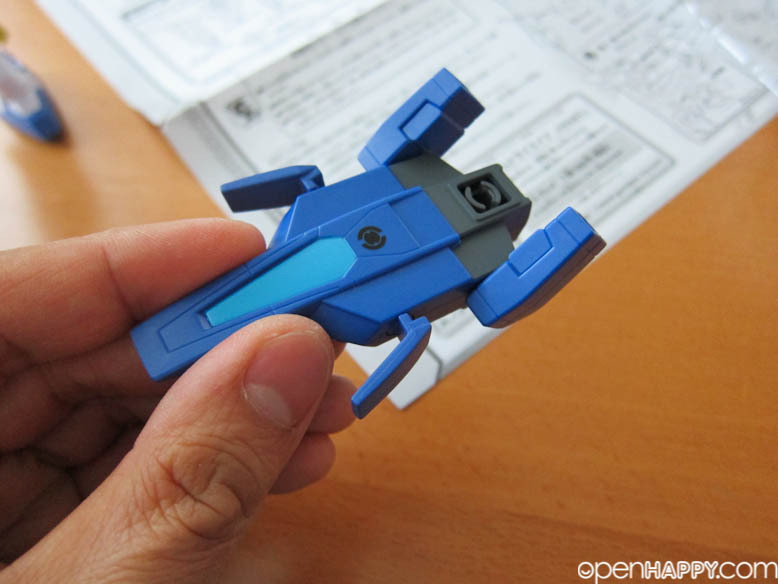 The box is just a regular size even though the gundam is bigger then the other two (age-1 and age-2). 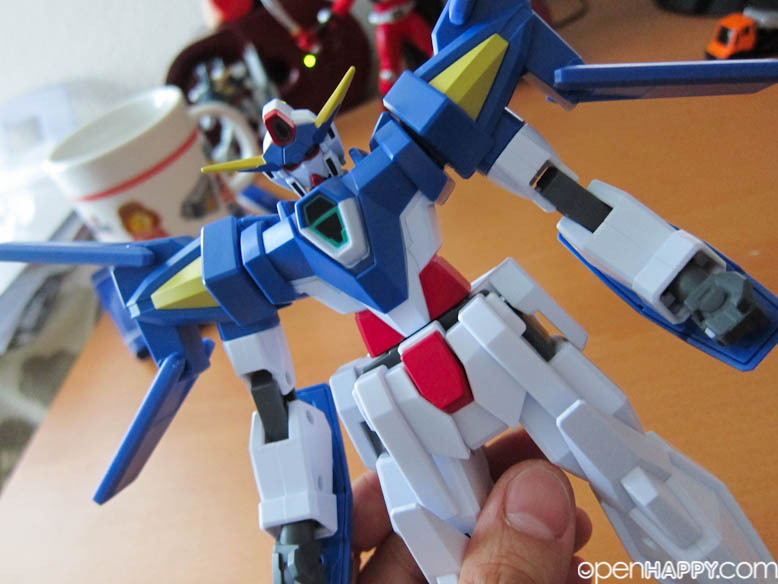 Yes, you can "transform" to airplane mode just like the show. 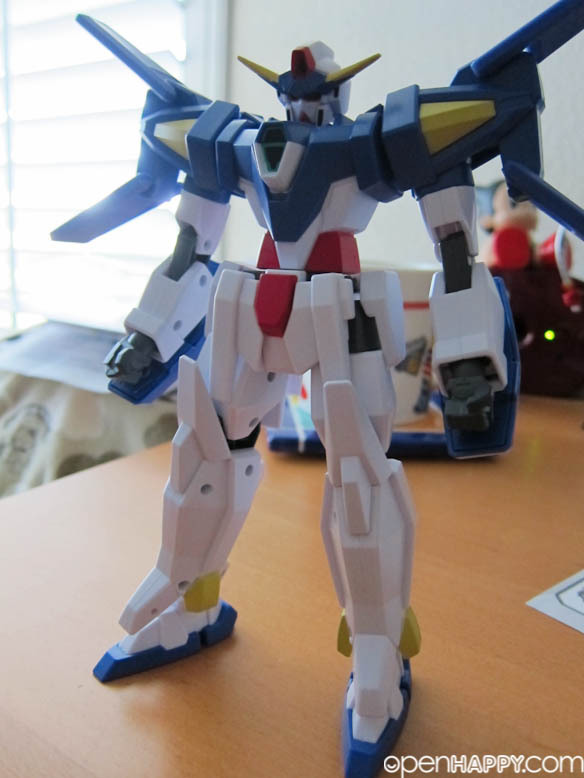 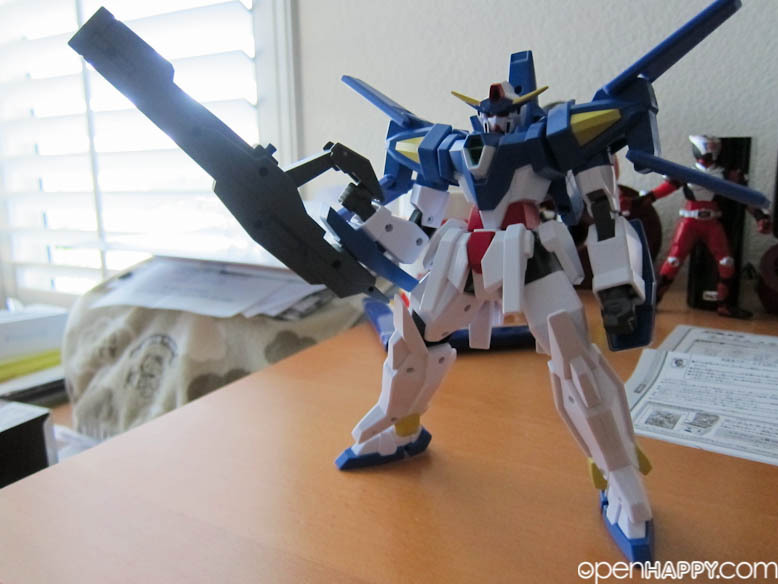 Yes, the gun is almost as tall as the gundam itself. 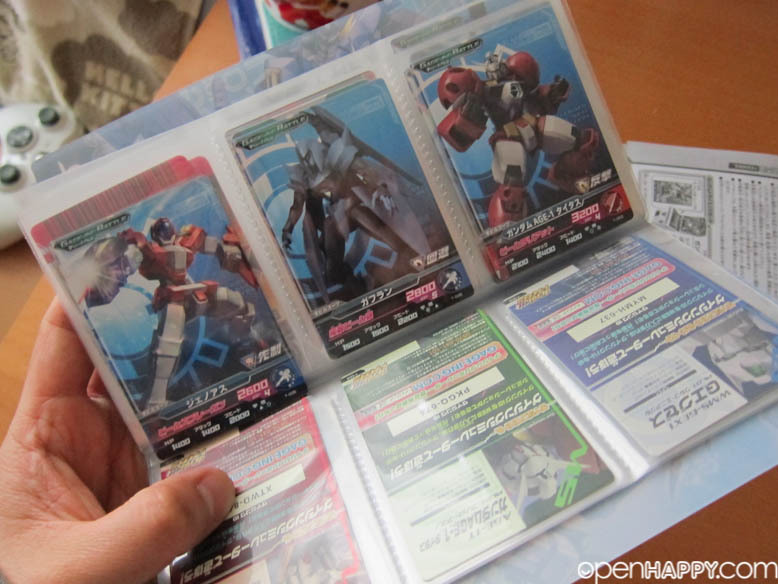 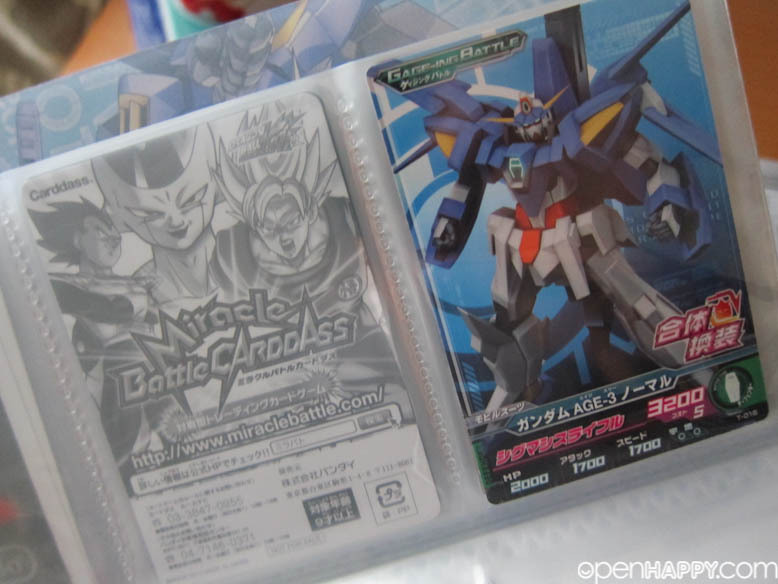 I stored all my cards in my gundam 00 card holder. 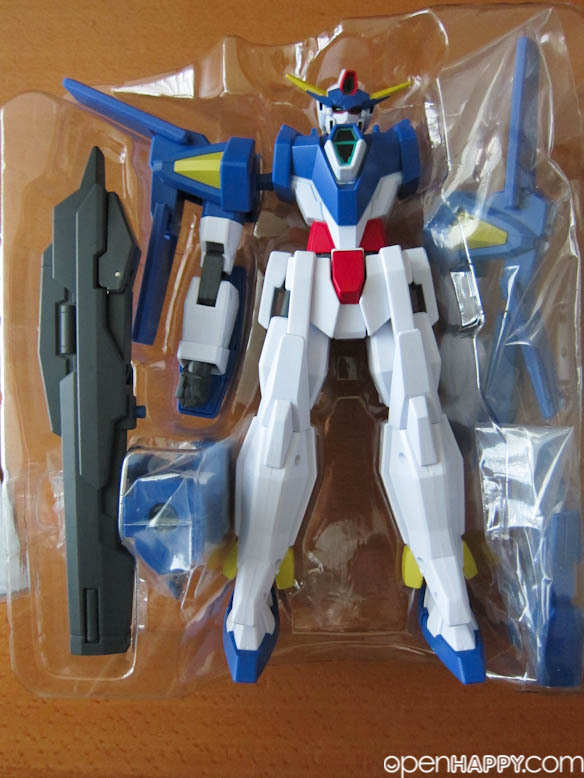 The backpack is the airplane. 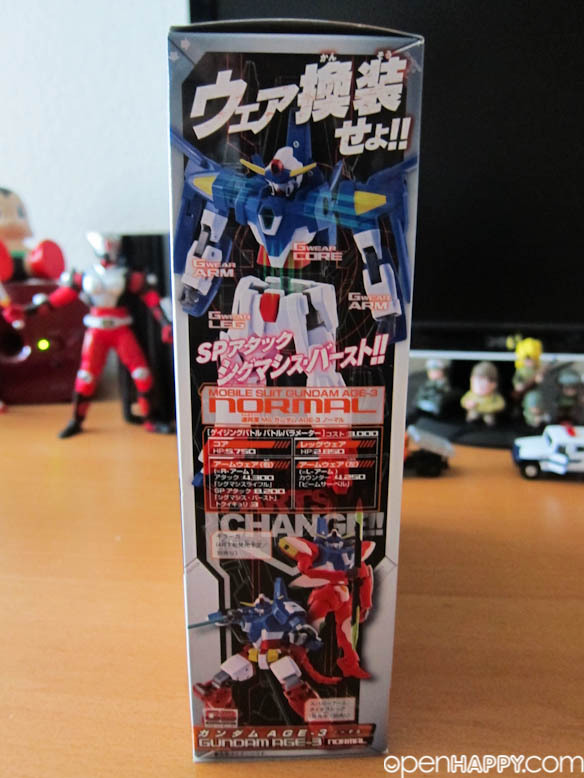 The whole thing is pretty heavy, so it does standup even with the gun pointing upward.